According to its critics, intelligent design (ID) is simply creationism repackaged to evade constitutional challenges in the public school science classroom. This criticism, however, ignores both the real history of ID and its actual content. ID is not so much a theory about life’s history – because ID supporters differ widely in their views about the details of Earth history – but a proposal that design is empirically detectable, and thus a fit subject for scientific analysis. In his talk, Dr. Nelson will explain what ID is and what it is not. This video file is a 60 minute seminar by Paul Nelson that was recorded during the Seattle Creation Conference, October 2010. View more videos from the 2010 conference. Paul A. Nelson is a philosopher of biology who has been involved in the intelligent design debate internationally for over two decades. His grandfather, Byron C. Nelson (1893-1972), a theologian and author, was an influential mid-20th century dissenter from Darwinian evolution. After receiving his B.A. 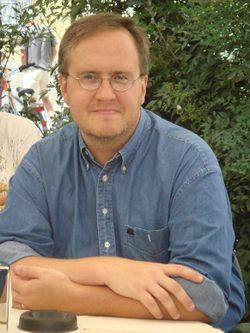 in philosophy with a minor in evolutionary biology from the University of Pittsburgh, Nelson entered the University of Chicago, where he received his Ph.D. (1998) in the philosophy of biology and evolutionary theory. He is currently a Fellow of the Discovery Institute and Adjunct Professor in the Master of Arts Program in Science & Religion at Biola University.